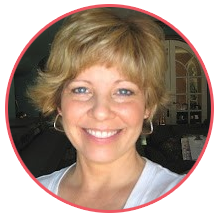 Lori Hairston: What Should a Mom Do? If you're a mom, you've probably asked yourself more than once what is the best thing to do or say. Lauren and I have had a LOT of this type of conversation since Louisa was born. I told her that sometimes you just don't know and you just have to do your best. Sometimes you'll be right and sometimes you'll be wrong. Don't you think as long as you keep what's best for the child in mind, that everything will turn out okay? Lauren and I have talked a lot about decisions coming from love. That children need a framework of discipline until they can self-discipline. A mom has to be strong, because sometimes it would just be easier let a child do whatever she wants to do. Well, that was a little serious. Let's pivot to cuteness and happiness. A lot of being a mom is joy. Lauren was so cute when she said, "If I'd known she would be so sweet, I would have done this a lot sooner!" Talk about cute and sweet! This is Louisa from my last visit. I arrived very late on a Wednesday, so she was already asleep. This is what greeted me early Thursday morning. Can't be beat, right? It is great being a mom, but being Grandma is amazing! Rosebud is cute and sweet,too! I love her cute cap and yellow striped dress and blue bows. I've used her before (you can see that project HERE). It has some similarities to this card, so I guess I cased myself! I've got her ready download along with mom and friend sentiments. She makes a sweet friend card, too! You can download Rosebud HERE. Oh my!!! How cute and sweet is Louisa looking at you!! I read surprise and happyness in her eyes! Soooooo beautiful photo!! I haven't sons, but I'm a teacher of primay school and also for me it's always difficult balancing rules with heart... But childs need rules, surely! 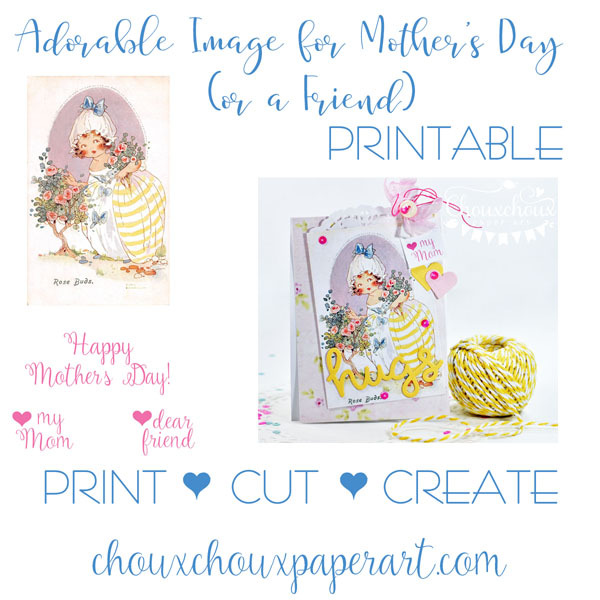 Your Mother Day card is a true delight, thanks for sharing! Hugs and enjoy your little precious Louise! That Louisa would make any mom waver on saying know to that sweet little face. LOL I agree though that discipline is so important for a child to grow up truly happy. Love, LOVE Rosebud. Thanks so much Lori. Hugs! This is so very sweet and omg... that grandbaby of yours is just THE sweetest! I think you're right... I was what you'd call a "mean" mom...lol... and my kids thank me for it all of the time... but yes, as long as your decision has what's best for them in mind even if it's not the popular decision and even when it makes them "hate" you ... Do All Things With Love and you can't go wrong... and back to this beautiful card.. I really do need to use yellow more! 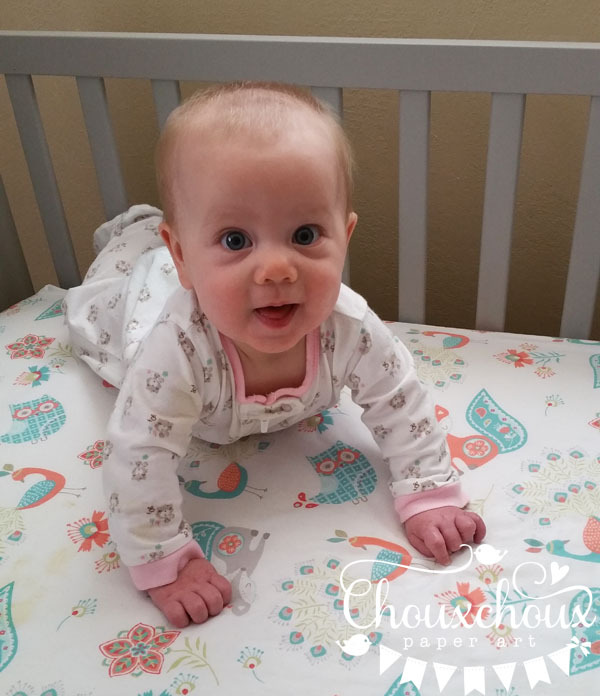 Oh my goodness, Lori--Louisa is one of the cutest babies ever! Auntie Greta loves seeing pictures--just wish I could give her a hug! 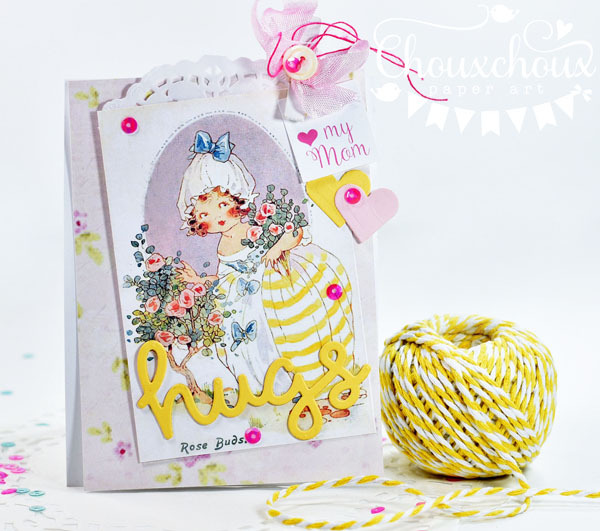 Rosebud is darling & I love your card with the doily peeking out & the cute little hearts! Oh, my!! Seeing the photo of Louisa certainly brought a big smile to my face! I'm sure she fills your heart to the fullest...so precious!! I can remember only once when my son said that he hated me. I can't remember what it was about...lol! But, I didn't let it phase me. You are so right...stay strong and give good discipline. Your card is so beautiful and sweet! Love the image, hearts, and hugs sentiment die! Have a great week! yep... seeing that sweet little face first thing in the morning is definitely the best thing ever!! as always your card is so very sweet!! Louisa steals the show Lori lol! She is sooooo cute!!! Your serious talk make so much sense. Sometimes you don't have all the answers, but as long as there's love, and their best interest at heart then it works! Louisa is so sweet and pretty - I would love to be able to kiss her all over her cute little face. What a beautiful baby. Lori you know how visiting you posts bring me so much pleasure and thank you for visiting my blog Sugar! She is just so precious! I am loving the updates & photos of her. I've been asking myself the same question Lately.."What should a Mom say"? Freat post Lori! Louisa is adorable! 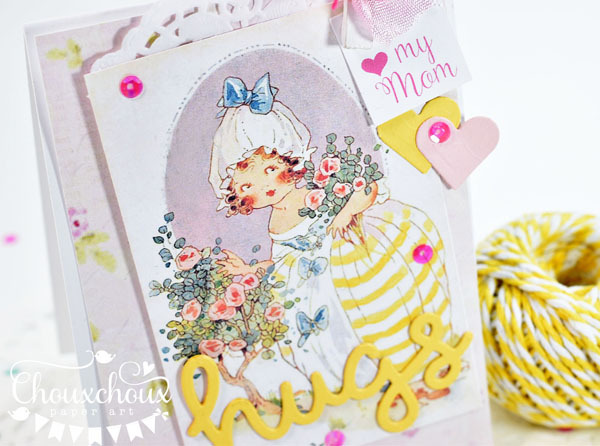 Love the gorgeous vintage image, your card is so pretty and very sweet! 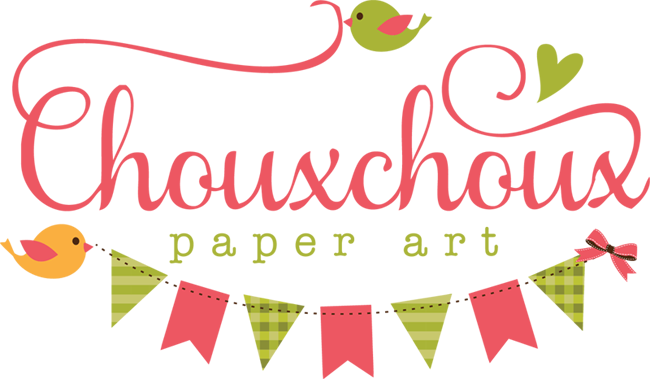 Time to catch up on more wonderful creations of yours! oh my spelling ......Great post!